Your garage door is a vital part of your residence, providing safety and security all the time. Sadly, no garage door lasts forever, and occasional professional repairs are essential to keep your door running smoothly. DIY garage repair is never a good idea, with the risk of injury and the chance that an incorrectly “fixed” can have disastrous effects. 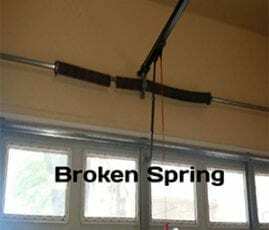 To minimize the risk of you being hurt by broken springs or a falling door, trust the experts at Austin’s Greater Garage Doors. Potential for injuries: A garage door repair project is not something you can postpone. Faulty garage doors may be riskier than you imagine, and they are capable of damaging your car or injuring someone walking through it, which is especially dangerous with kids or pets. Don’t wait for an accident to happen when we’re only a call away! Out-of-control operation: A well functioning garage door is easy to use, but a number of issues can cause your garage door to misbehave. We’ll take care of the hassle, so you don’t have to worry about your garage door not opening or closing reliably. Reduced curb appeal: If you want to boost your Austin home’s curb appeal, then you would want to fix your faulty garage door soon rather than later. Stuck doors, cracked or damaged panels, and cars forced to park in the driveway can greatly detract from your home. Why Choose Austin’s Greater Garage Doors for Your Repairs? We are aware that there are thousands of companies offering garage door repair services in the country. Why should you pick Austin Garage Door instead of someone else? We offer same day garage door repair services – Regardless of the type repair you need, our crew can handle it the same day you contact us. We have the skills and experience you can rely on – Our crew is truly the best in the business. We can professionally diagnose and fix any problem you may be experiencing. Affordable prices – At Austin’s Garage Door, we believe that you do not have to break the bank to fix your broken garage door. Our charges are the most reasonable around! We guarantee all of our work – We can stand behind every repair project we carry out and guarantee exceptional results. Need an Emergency Repair, Fast? Call us Now for Garage Door Service You Can Count On! If anything is amiss with your garage door, no matter how small or big it is, trust the specialists at Austin’s Greater Garage Doors. We are proud to be a family-owned, and we are always ready to provide our clients with the best repair and installation service. Our IDA-certified technicians will drive all over the greater Austin area to help you fix your garage door so you can move on with life. Call (512) 806-9520 for a free estimate over the phone. Steven with Greater Austin’s Garage Doors came out and fixed my broken spring, replaced the wheels, changed a bearing, and re-lubricated it and finished in about an hour. He arrived in the scheduled time and was very knowledgeable and professional. He answered all my questions. Pricing was very reasonable. Excellent experience…highly recommend both the company and technician.-Garet F.
I called the owner, Steve about 15 min before closing time. I knew it was a long shot, being so late at night time. Our garage door broke in 2 pieces, one panel was completely ripped off. This amazing gentleman offered to stop by at our house that night, on his way to his house after closing time, to check out the garage door. He concluded we needed a new garage door, the old door couldn’t be fixed and we knew that even before he came over. He made some phone calls trying to find out if he could get a new door in maybe the very next day…Within hours we got a quote and he said we would get the new door the following day. He sent out the technician with a new door the following day. Job well done, clean and precisely. Very happy I chose them. Thanks Steve!! Thanks Austin’s Greater Garage Doors!!! With no hesitation I would recommend him to all my friends! 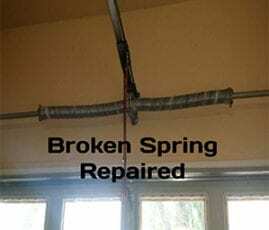 !-Andra C.
We want to help you with your garage door project or repair ASAP. The quickest and easiest way to get a free estimate or to set an appointment is to call our office at (512) 806-9520, or fill out the form below and we will get back to your shortly. Get in touch with us and get a free estimate over the phone.